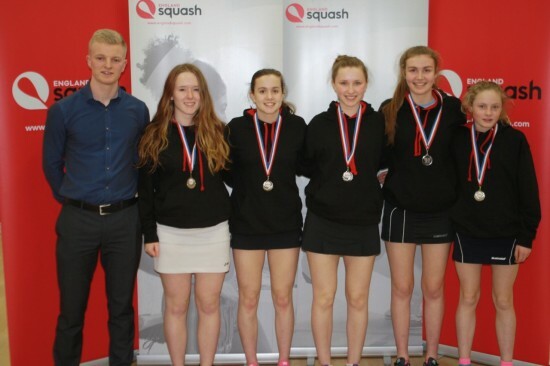 NORTHUMBRIA junior squash players did the region proud at the 2016 National Schools finals. Gosforth Academy Under 15s won the girls title for the second time in four years – while their B team also reached the national semi-finals! There were also hard-earned runnners-up trophies for the school’s Under 19 Boys team AND Dame Allans Under 19 girls team. Finals day at Nottingham was made up of the top eight teams in the country after a long hard season of competitive qualifying rounds. Dame Allans Girls battled past Comberton Village School from Derbyshire in the semis, while the Gosforth girls were edged out by the mighty Wycliffe. 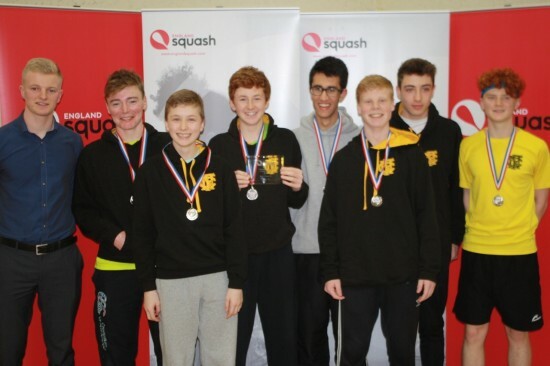 The Gloucestershire boarding school – which cherishes its reputation as one of the very best squash schools in the country and offers scholarships to attract top junior players – proved too strong for Dame Allans in the final. Both Newcastle schools’ Under 19s Boys team also reached finals day. Dame Allans were knocked out at the quarter-final stage by a very strong team from Ackworth School in Yorkshire. Meanwhile, Gosforth took notable scalps in Eton and Millfield to reach their final where – you guessed it – Wycliffe lay in wait, scuppering Geordie hopes with a commanding win. National glory always looked more likely at Girls Under 15s for Gosforth. The academy last picked up the title in 2013, and another bumper crop of players meant the school had TWO teams present at finals day. The B side beat Ackworth to reach the last four, losing narrowly to Comberton Village – then winning a titanic play-off with Wycombe Abbey to clinch third spot. Meanwhile, the A side – who themselves had beaten Wycombe High School in the quarters – then booked their place in the final with an emphatic 5-0 victory over Wycome Abbey in the last four. 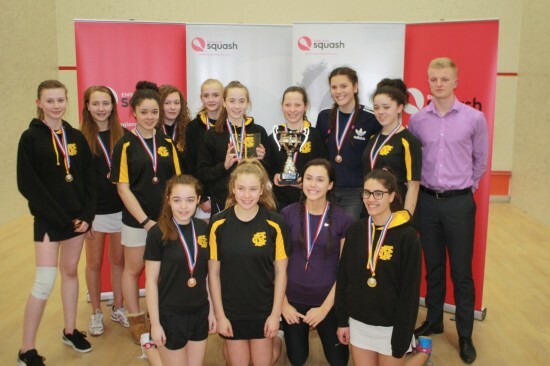 Comberton stood between Gosforth and the winners trophy – and the Derbyshire girls put up a strong fight. Gosforth took first blood, with Beth Tudor and Aanya Hamilton giving the Newcastle side a 2-0 lead at numbers 4 and 5. But Comberton were not finished yet – they picked up the next two wins, beating 1st and 3rd strings Megan Evans and Harriet Wight respectively to leave the final all-square with one to play. 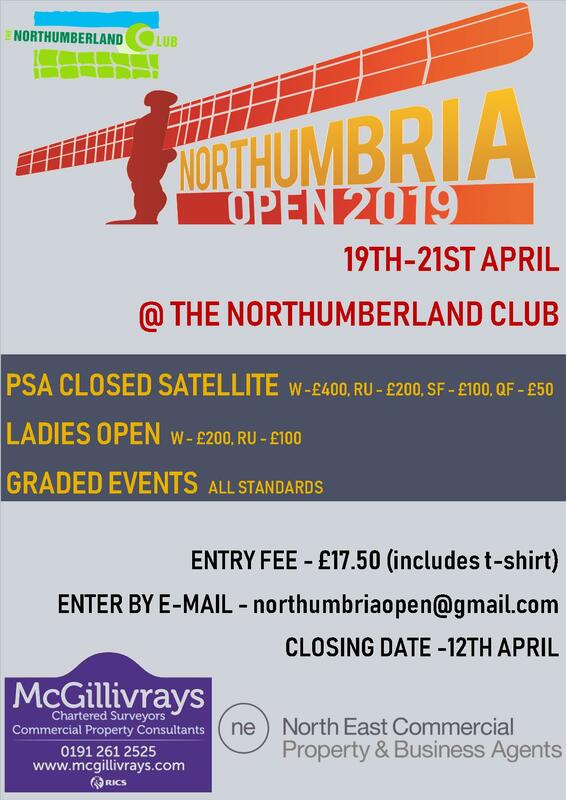 Erin Vitty (No 2 for Gosforth) was left to fight it out with Ellis Miller from Comberton – and the Gosforth girl shone through, with a commanding 3-0 win (11/4, 11/8, 11/2) to bring the trophy home to Gosforth Academy for the second time in four years. 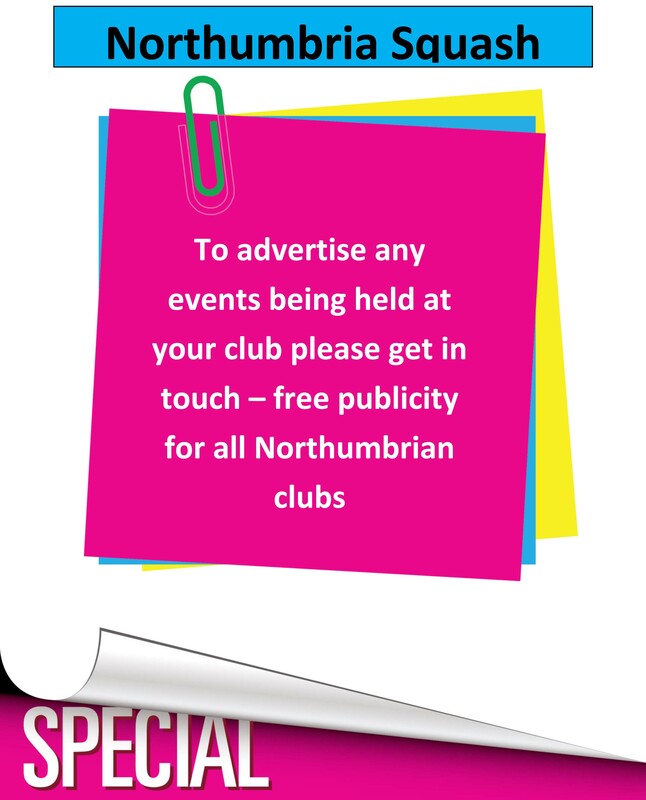 Anyone wanting more information about Newcastle’s burgeoning school squash scene can contact Gosforth Academy coach Richard Vitty on 0191 2859712.